Ken Okuyama Cars, the auto design firm headed by Japanese industrial designer Ken Okuyama, the man who penned the Ferrari Enzo supercars, unveiled a new creation at the 2017 Monterey Car Week. While last year’s event brought us the Kode57, a limited-edition speedster based on some recent Ferrari designs, 2017 sees the Kode0 come into the spotlight. A one-off design that won’t be followed by a limited-edition run, the Kode0 broke cover at Pebble Beach. 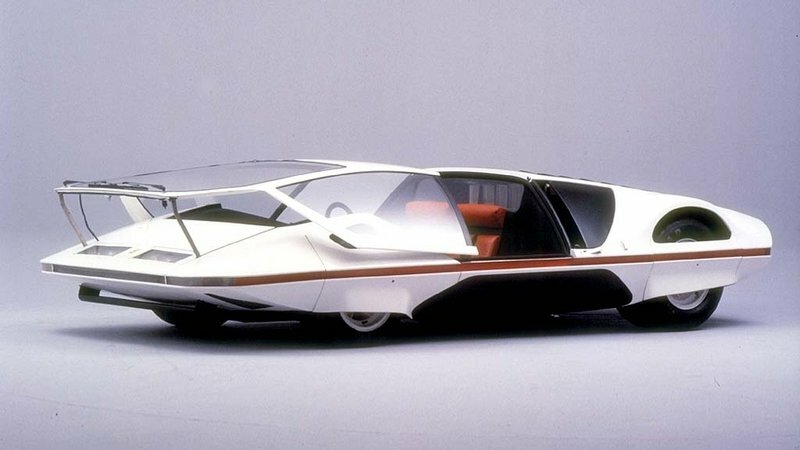 If you’ve been living under a rock, you should know that Ken Okuyama is a well-established design that has worked for a number of famous companies, including General Motors, Porsche, and Pininfarina. He helped design the 996-generation Porsche 911 and Boxster, as well as supervised projects such as the Ferrari 599, fifth-generation Maserati Quattroporte, Mitsubishi Colt CZC, Maserati Birdcage 75th concept, and James Glickenhaus’ Ferrari P4/5, He also penned the Ferrari Enzo, the Pininfarina Metrocubo, and Ferrari Rossa concept. The new Kode0 joins a long line of personal designs that date back to 2008 and, despite being described as a follow-up to the Kode57, it has nothing in common with the previous design. Continue reading to learn more about Ken Okuyama Cars Kode0. 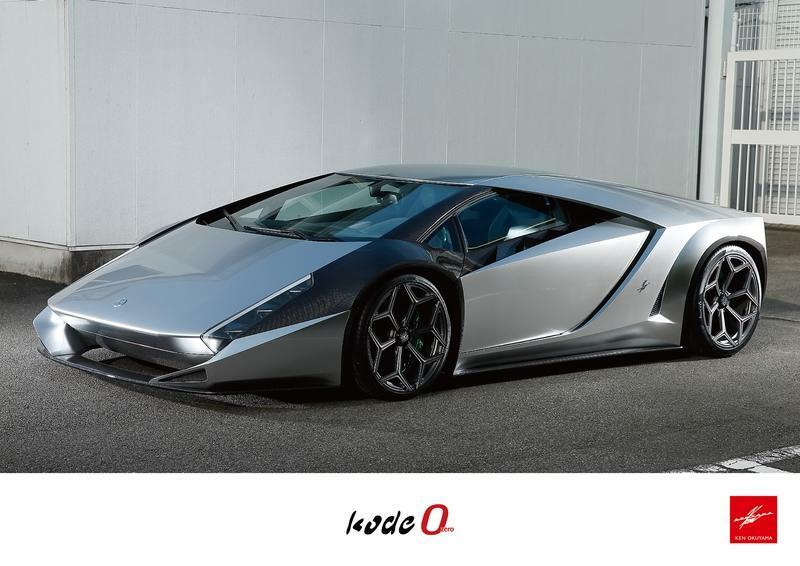 Unlike Kode57, which was built around a Ferrari, Kode0 is based on the Lamborghini Aventador. 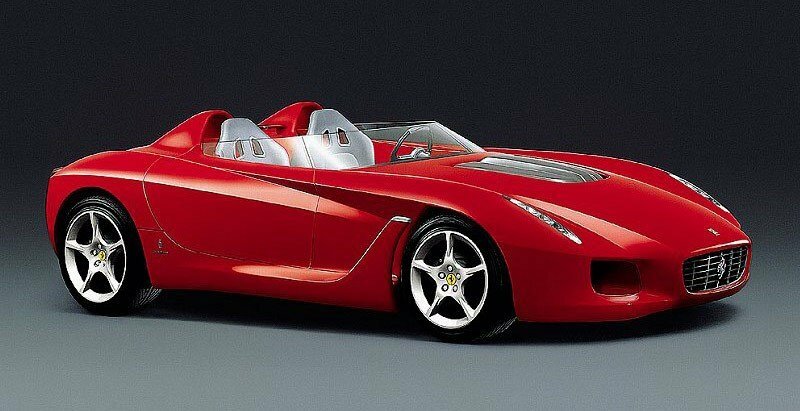 While the Kode57 boasted many Ferrari-inspired cues, including some features seen on the old Ferrari Rossa concept, the Kode0 is based on a vehicle built by Maranello’s greatest rival, Lamborghini. Specifically, Okuyama built the Kode0 around the Lamborghini Aventador. 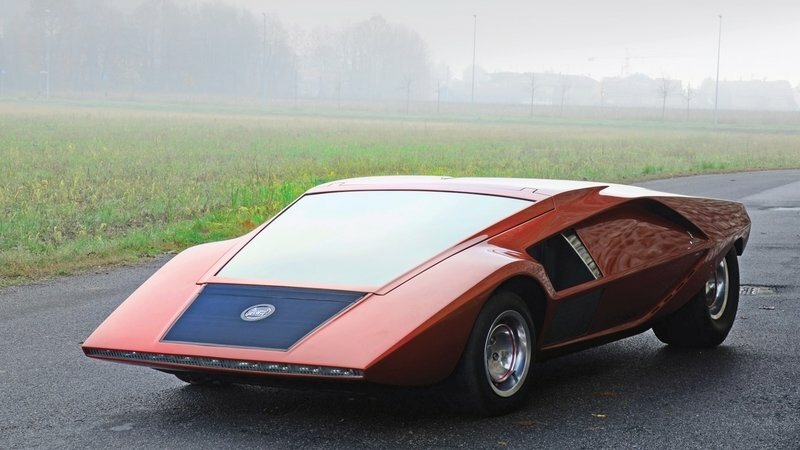 This may not be very visible on the outside, but it does have the wedge design that Lambo has been using since the 1970s. And Ken Okuyama took the design that made the Lambo Countach, Lancia Stratos Zero, and Ferrari Modulo famous to new heights. The styling is just as radical as the first wedge-shaped concept cars from the 1970s. It has a low, sharp nose with integrated cooling ducts and angular lines all over the place. Much like the Countach, it sports wide and almost round wheel arches. Interestingly enough, it also reminds me of the Lamborghini Gallardo, probably because of the vertically oriented headlamps and the sloping front hood. Still, I’m not saying the Kode0 isn’t an original design. On the contrary, it’s unlike anything you can buy today and a breath of fresh air among modern supercars. Note: Ken Okuyama Cars Kode0 pictured on the top, Lamborghini Aventador pictured on the bottom left, Lamborghini Gallardo pictured on the bottom right. The styling is just as radical as the first wedge-shaped concept cars from the 1970s. 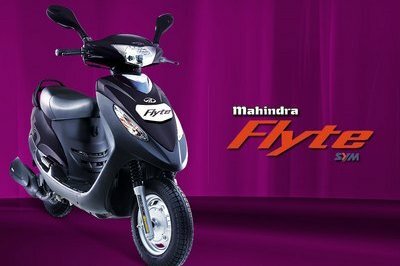 The front fascia is particularly intriguing, with a "floating" nose flanked by sharp air intakes onto the sides. The windscreen is almost flat, which makes me wonder about what kind of visibility you get in this car. 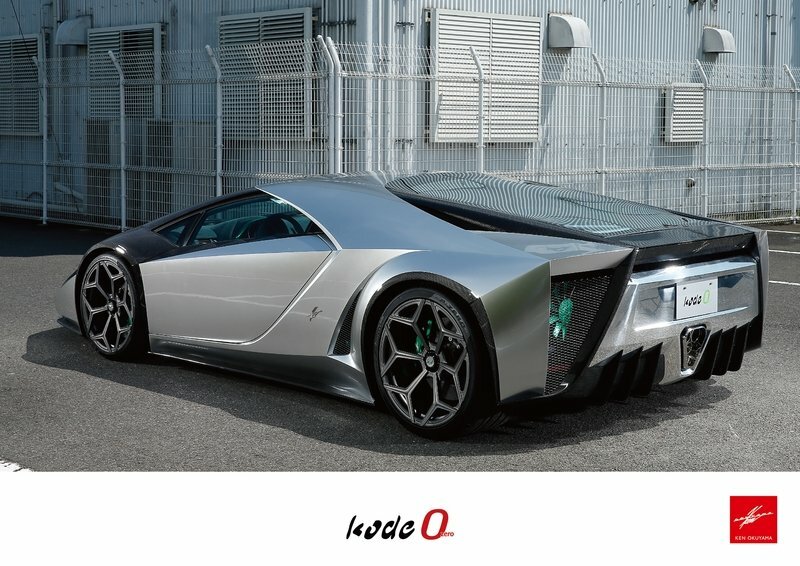 Onto the sides, the Kode0 looks a lot like a Lamborghini, mostly due to the V formed by the B-pillar and the rear fender, the beefed-up side skirts, and the straight beltline ascends as it progresses toward the rear. The rear fascia is unique. The taillights are hidden behind massive triangular grilles on each side of the chrome fascia, while the massive diffuser and the center-mounted exhaust system reminds of full-fledged race cars. The engine hood is fully transparent, allowing a full view of the V-12 underneath, while the side panels hide several cooling vents. All told, the Kode 0 revives the wedge-shaped proportions of 1970s using modern-day technologies. 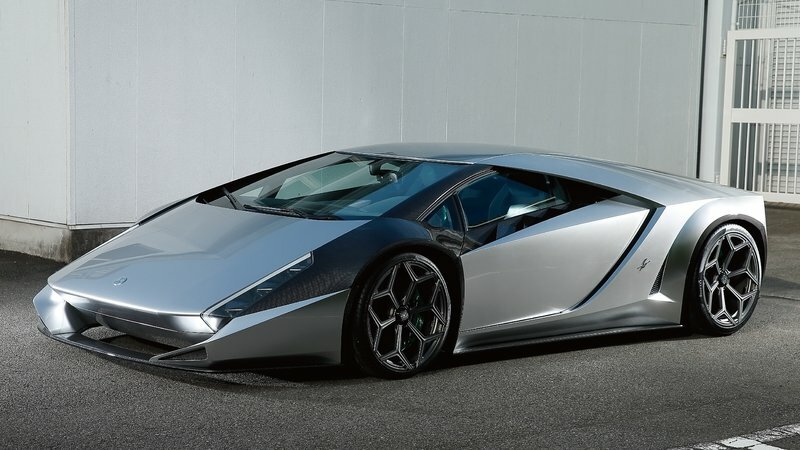 It also looks like a Lamborghini from the future, but this is not criticism toward Ken Okuyama. 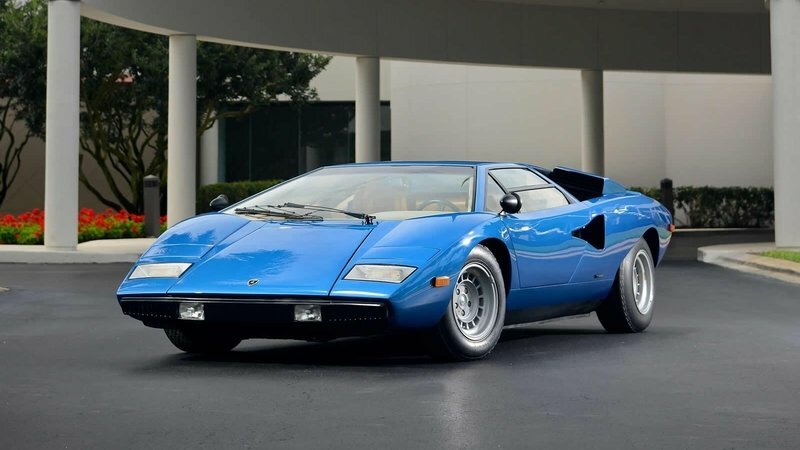 It probably has something to do with with the fact that Lambo’s most modern designs are heavily inspired by the original Countach, arguably the most iconic wedge-shaped classic. 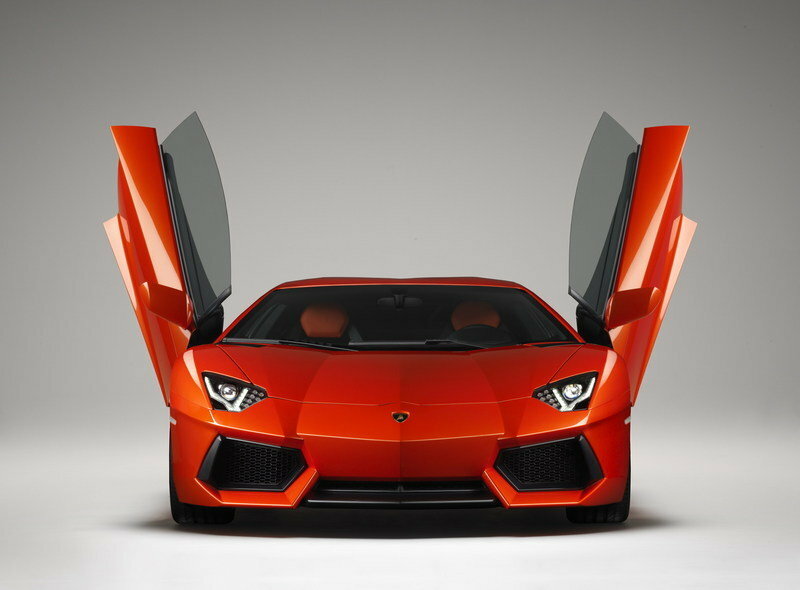 While the exterior is unique, the cabin is obviously reminiscent of the Lamborghini Aventador. 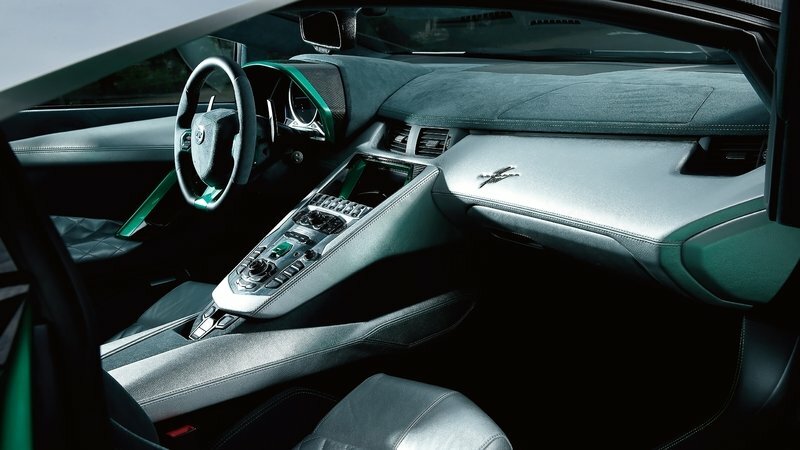 The company had nothing to say about the car’s interior, but it did release a couple of photos. Unfortunately, while the exterior is unique, the cabin is obviously reminiscent of the Lamborghini Aventador. And I say "unfortunately" not because the Aventador has a bland interior, but I expected a bit more from a bespoke, unique vehicle to be honest. So did Ken Okuyama change anything here? Not really. Except for the new upholstery, updated materials, and a badge on the dashboard, everything else looks the same. The center stack, center console, steering wheel, instrument cluster, and door panels appear to have the same configuration. Sure, I can spot a couple of revised buttons on the center stack, but you have to look really close to notice them. However, I have to give Ken Okuyama credit for the upholstery and color choice. I like how the silvery gray of the center console, seats, and door panels works with the black leather and the dark gray Alcantara on the upper dash. The green accents on the instrument cluster hood, steering wheel, and center stack are also a nice touch. 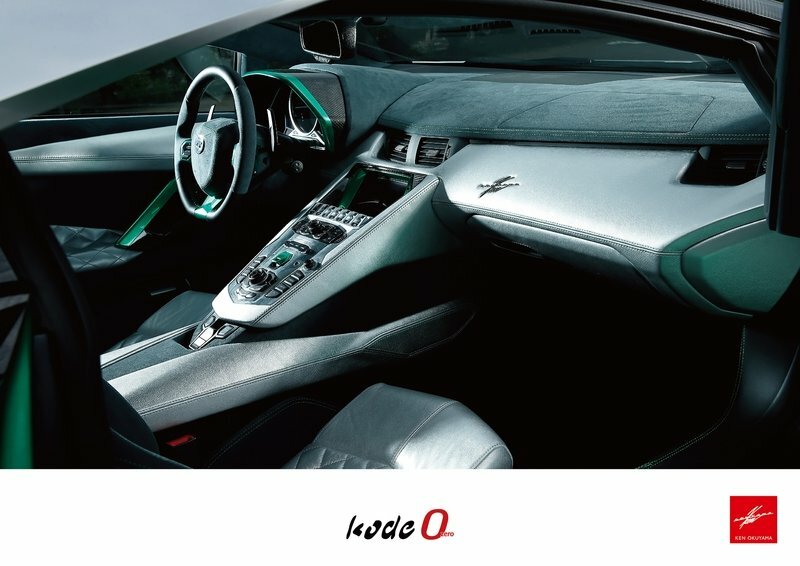 Hopefully the Kode0 also has bespoke dials and a custom display for the infotainment system in addition to the signature logo on the passenger side dashboard. The naturally aspirated, 6.5-liter V-12 cranks out 690 horsepower and 509 pound-feet of torque. In the past, Ken Okuyama cars kept the drivetrains of the vehicles they were based on. So it’s far from surprising to find out that the Kode0 uses a Lambo Aventador drivetrain. The naturally aspirated, 6.5-liter V-12 is obviously placed behind the seats and cranks out 690 horsepower and 509 pound-feet of torque. That’s identical to Aventador’s output, but it’s worth noting that Lambo updated the supercar for 2018 and power jumped to 730 horsepower. However, while a bit less powerful than the Aventador S, the Kode0 benefits from a similar power-to-weight ratio. 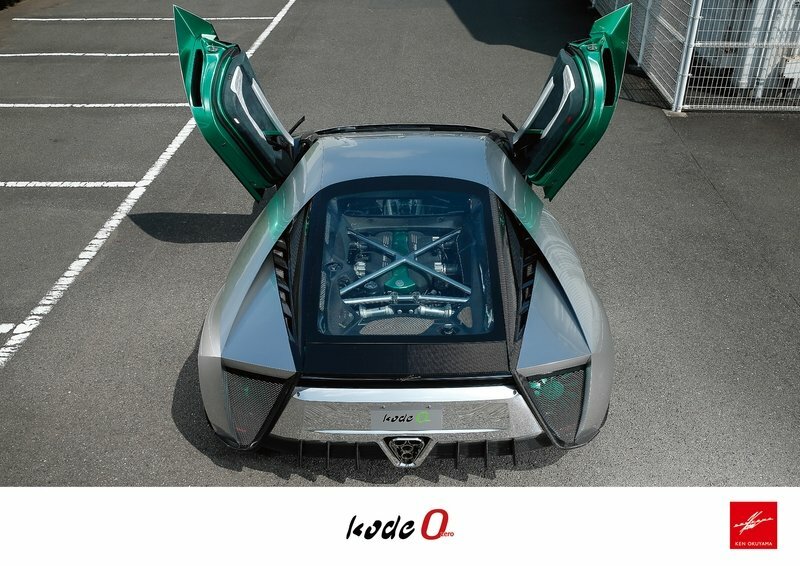 Tipping the scales at 3,417 pounds, the Kode0 is 55 pounds lighter than its Italian counterpart. The transmission is the same IRS gearbox with seven speeds, while the suspension still uses the double-wishbone, fully independent design with horizontal dampers and springs. Stopping power comes from carbon-ceramic ventilated discs at all four corners and six-piston calipers at the front and four-pot calipers to the rear. Ken Okuyama ditches the standard Aventador wheels in favor of Novitec NL3 forged rims. Ken Okuyama ditches the standard Aventador wheels in favor of Novitec NL3 forged rims. These are wrapped in Pirelli P-Zero rubber for excellent grip on both the road and the track. Performance figures aren’t yet available, but the Kode0 should be as quick as the Aventador from 0 to 60 mph and achieve the benchmark in around 2.9 seconds. 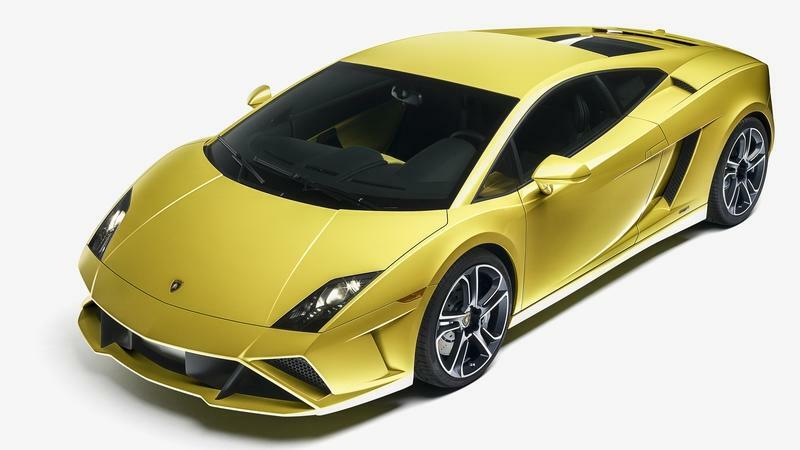 Top speed could differ from Lambo’s 217 mph due to different aerodynamics, but it should still be able to hit at least 200 mph. Much like wedge-shaped supercars from the 1970s, the Kode0 is of the "love it or hate it" variety. It has the appeal a modern supercar needs, but some may feel like Ken Okuyama is beating a dead horse. I like it to be honest, but I think that the Japanese design could’ve done a bit more here. 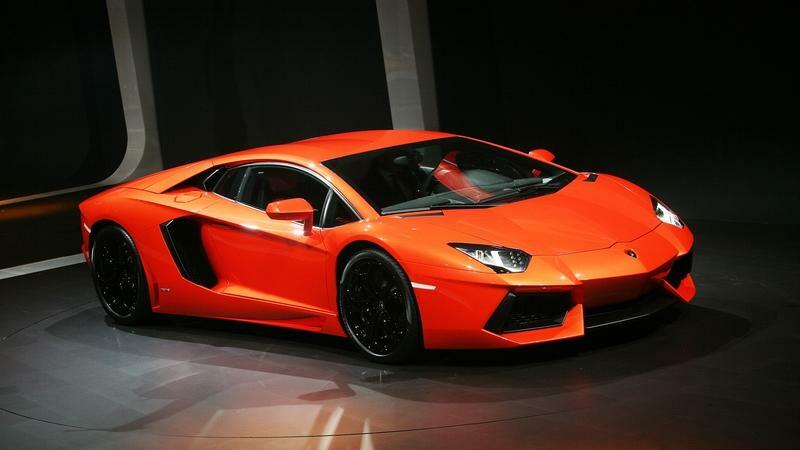 Granted, I can’t say anything bad about the exterior, but the interior is too much Aventador. Let’s face it, new materials won’t do much to change the overall appearance, so I think it needs a truly bespoke cabin in order for the Kode0 to become the concept or the exclusive one-off it wants to be. But overall, it’s definitely a spectacular design exercise and it has enough output to qualify as a top-shelf supercar. Only one will be made? 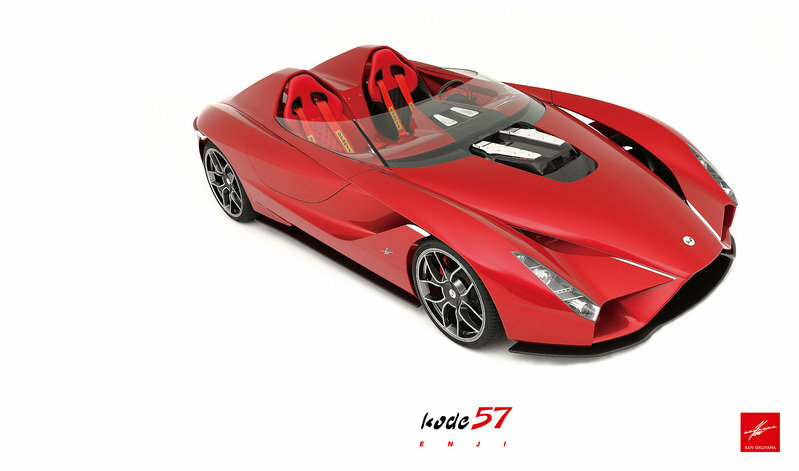 Read our full review on the Ken Okuyama Cars Kode57. Read our full review on the Ferrari Rossa by Pininfarina. 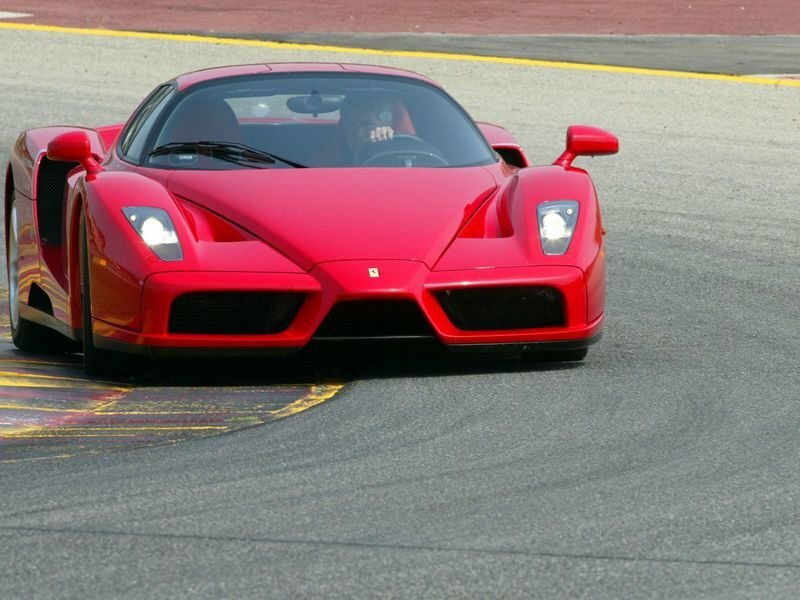 Read our full review on the Ferrari Enzo.